Aside from being your favorite Kamloops Movers we are also well known for offering superb storage solutions. Our storage units are all certified by the government with a state of the art alarm system. Our units are also climate controlled and we offer agreements for short and long term storage. Of course, some things are best when stored at home because you may need them every once in a while. We thought we’d offer some of our favorite tips for optimizing your space at home with these easy self storage tips. Vacuum packing seasonal clothing is a great way to cut down on the clutter and maximize your closet and dresser space. 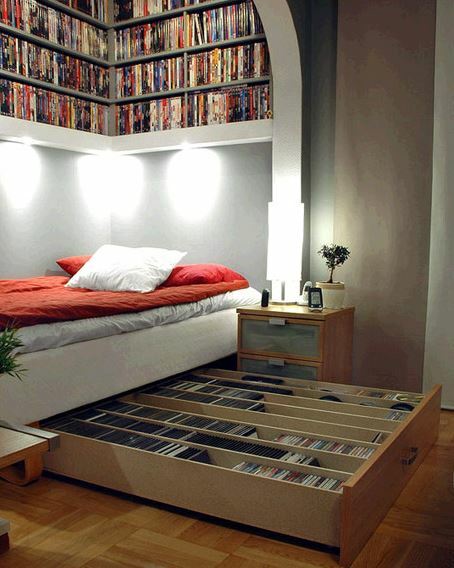 You can even do this with spare blankets, throws, or even sleeping bags to make the best use of home storage. Donating old clothes that you rarely wear can really clear up your closet and immediate storage spaces. If you place the clothing in a suitcase and put it in a closet or in the basement for a month or two and you don’t miss it – chances are it’s okay to donate. This is not an especially easy task for most families but have a look at your books and magazines and assess which ones you really want to keep. If you have the family encyclopedias out and nobody has touched them in years, maybe it’s a good time to pack them up and donate them to your public library or thrift store. With magazines we recommend keeping the articles that are desired and recycling the rest. Keep articles in a scrap book and refer to them when needed. Have you ever been in a situation where you spent a good half hour searching for a tool when you realize that you left it where you used it last? Even though it seems like common sense, this often gets overlooked in home organization. If possible, store items close to where they are most used. Keep towels in the bathroom on a shelf and keep linens in the bedroom either in clear plastic containers under the bed or on a shelf. Remember those old decorations and keepsakes from old travels that have been in the attic or basement for years? It’s time to dust them off and proudly display them on your shelves, fire place mantel or window sills. This allows you to eliminate boxes of old knick knacks while becoming aware of which items can go and which can stay. Minimize the amount of clutter on the floor by storing children’s toys on top of shelves or on top of closet shelves. Next time they want a select toy they will have to ask for it first which allows you to ask them to pick up the toys they’re currently playing with first. Another solution is purchasing a large toy trunk and when they grow out of their toys use the trunk for clothing storage. We hope these home storage tips come in handy in your household for years to come. For all other storage needs we offer clean, safe and secure storage units because we understand there are some items you can’t store at home. Please contact us today with any storage or moving related questions. If you would like more information on storage please see our Storage page or stop by today. We would love to be a positive part of your moving experience.